Kolkata, West Bengal,India, 12th April, 2018: Best Online Real Money Poker Site and the only Indian multi-linguistic poker site, has been introduced for the poker lovers of India. The state-of-the-art design permits online poker players to sign up and play games with ease in a fun yet highly-competitive setting which is both legal and secure. The website was launched in Mumbai during a grand event on February 24, 2018 by Bollywood Actor Rajeev Khandelwal. Picture a poker game with no luck mixed up. Picture a poker table where there are no bad beats. Picture a poker game based on just one thing – pure skill. Now, there is indeed a place online where the skilled poker player wins. It is PokerLion. PokerLion is unique in many ways. Players compete against challengers who are placed in corresponding seats, sitting at other tables. The aim of PokerLion is to make it fairplay gaming and make the game of poker known as the game of skill, make it a sport rather than the game dependent on luck. Apart from the unique website features, the games included in the website are powered by Microgaming, one of the most reputed names in the online gaming sector. They are simply the best as their intelligent fraud analysis system for the players and the strict collusion free software enables the players to play poker games online safely at PokerLion website. After the sign up procedure is completed properly with all the verification of KYC documents done, the site offers “real money” games to its players. Real money games allow novices a chance to become more familiar with the games of PokerLion, at their own pace. Players can also compete for real money legally, since PokerLion is regarded a game of skill rather than luck. All players can deposit using Visa, MasterCard, Maestro, JioMoney, freecharge and Cashfree. PokerLion also offers cash bonuses just for signing up and other promotions often. Recently, the site has been offering a ₹ 200 sign-up bonus on any deposit made by new players. PokerLion is different. There is no doubt that this is a new experience for the poker online players wishing to play the game in their regional languages. 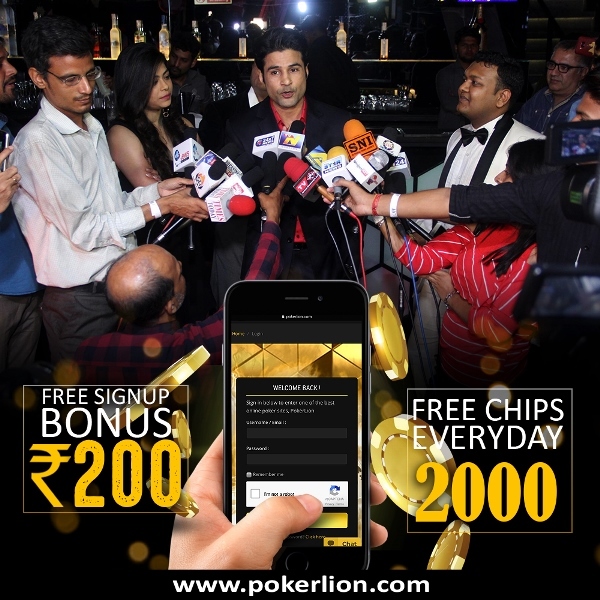 From the ability to play with real money by using your Visa, MasterCard, Maestro, JioMoney, freecharge and Cashfree account to transfer funds, to the fact that winning is based on skill, not luck, PokerLion is a concept that has been a long time coming.